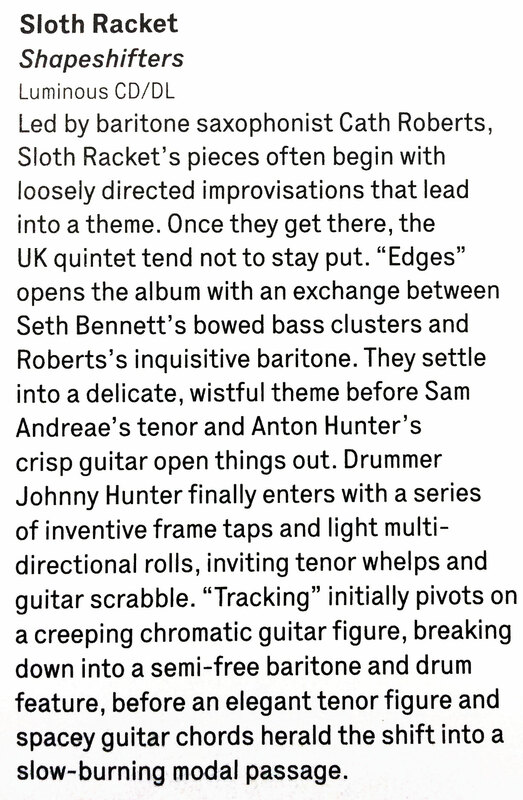 Reviews of the new Sloth Racket album have been emerging since it came out in June, so this is a round-up of what people have been writing about our second release. Further afield, the album was reviewed by Op Duvel (in Dutch) and Musiczoom (in Italian). 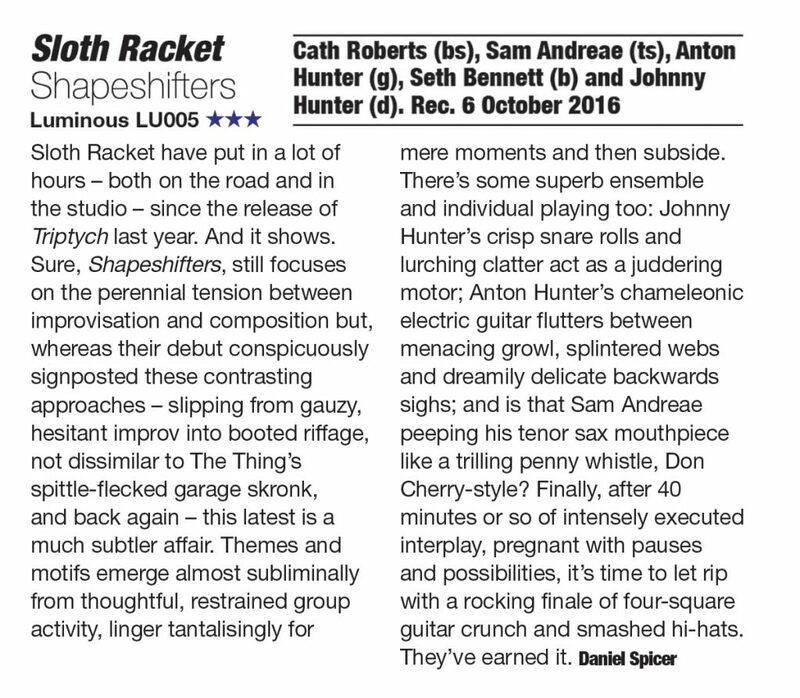 Big thanks to all the reviewers for their support of the record! 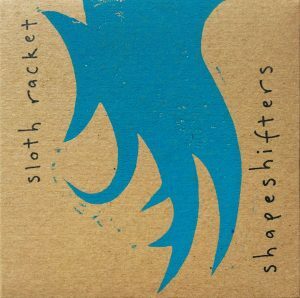 This entry was posted in News, Reviews!, Sloth Racket on July 18, 2017 by cath. 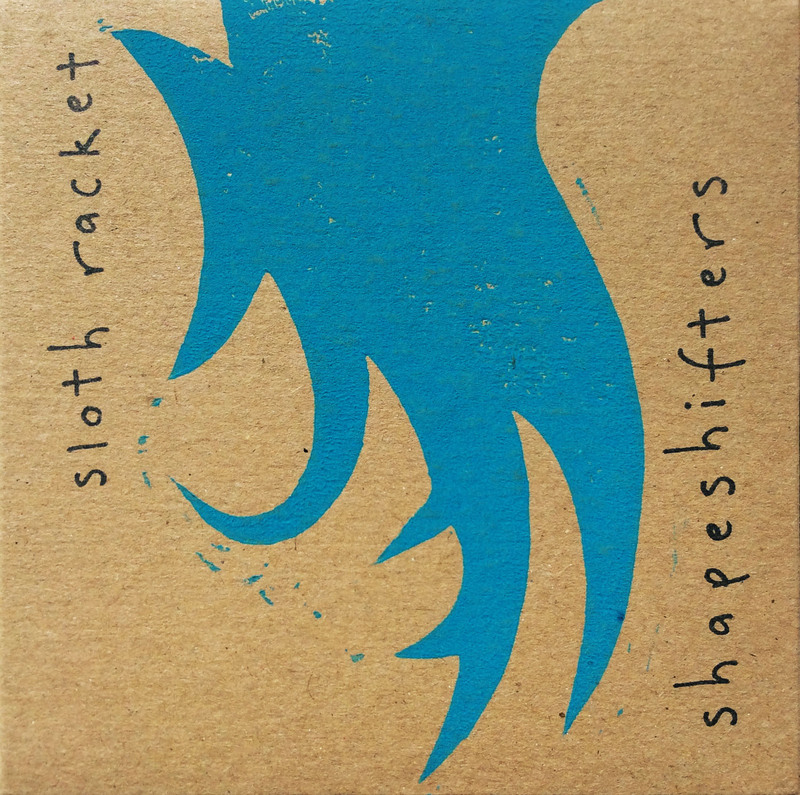 Sloth Racket from Agata Urbaniak on Vimeo. 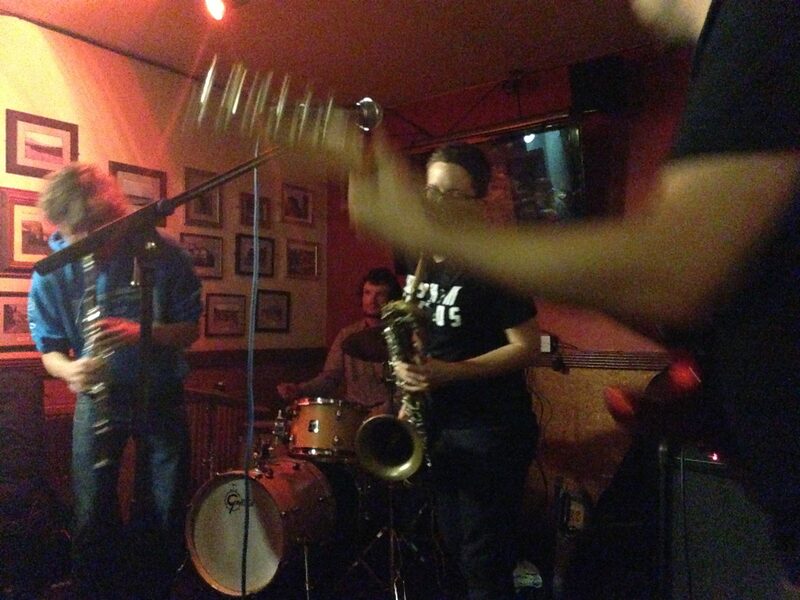 This entry was posted in Gigging, Sloth Racket, Touring, Videos on July 12, 2017 by cath.